This website currently covers those who lost their lives while serving during the First and Second World Wars. If you have any new information, corrections, documents or photographs relating to any of the Bolton Church Institute pupils and staff listed here we would love to hear from you. If you know of anyone who you think ought to be listed here, but isn't, we would be very happy to consider them for inclusion. 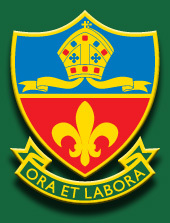 The School has existed for over 150 years. We hope to eventually include those pupils or staff who may have been civilian casualties of the two World Wars or who lost their lives while serving with the armed forces in any of the many conflicts from the 1870s to the present day. You can get in touch with us even if you don't have an e-mail address, but you must leave some form of contact details if you would like us to reply! If you would like to get in touch, please use the comments form below. You must enter something in both the Name and Comments fields for the form to work. Please note that this is NOT a form to contact Canon Slade School - please use the link to the School website on the left!